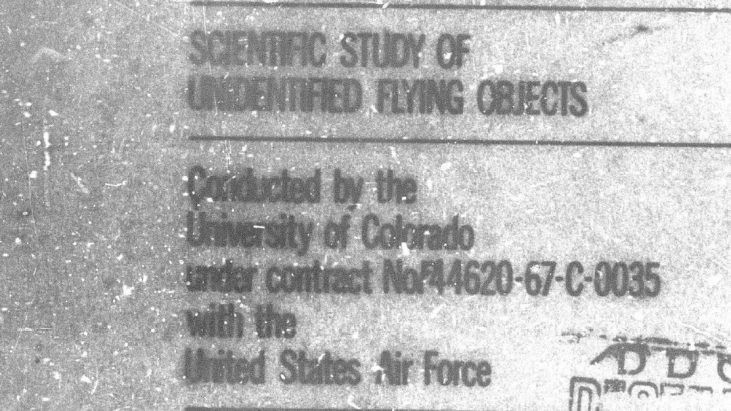 After examining hundreds of UFO files from the Air Force’s Project Blue Book and from the civilian UFO groups National Investigations Committee On Aerial Phenomena (NICAP) and Aerial Phenomena Research Organization (APRO), and investigating sightings reported during the life of the Project, the Committee produced a Final Report that said the study of UFOs was unlikely to yield major scientific discoveries. The Report’s conclusions were generally welcomed by the scientific community and have been cited as a decisive factor in the generally low level of interest in UFO activity among academics since that time. According to a principal critic of the Report, it is “the most influential public document concerning the scientific status of this UFO problem. Hence, all current scientific work on the UFO problem must make reference to the Condon Report”.